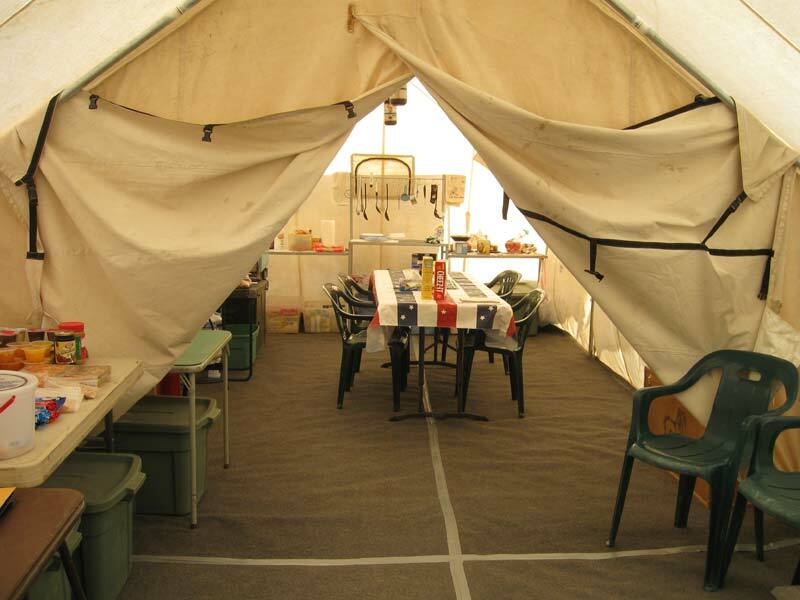 Our first class tent camps include a canvas wall tent cook shack with wood burning stove, separate sleeping tents with lanterns, carpet floors and comfortable cots with foam padding. 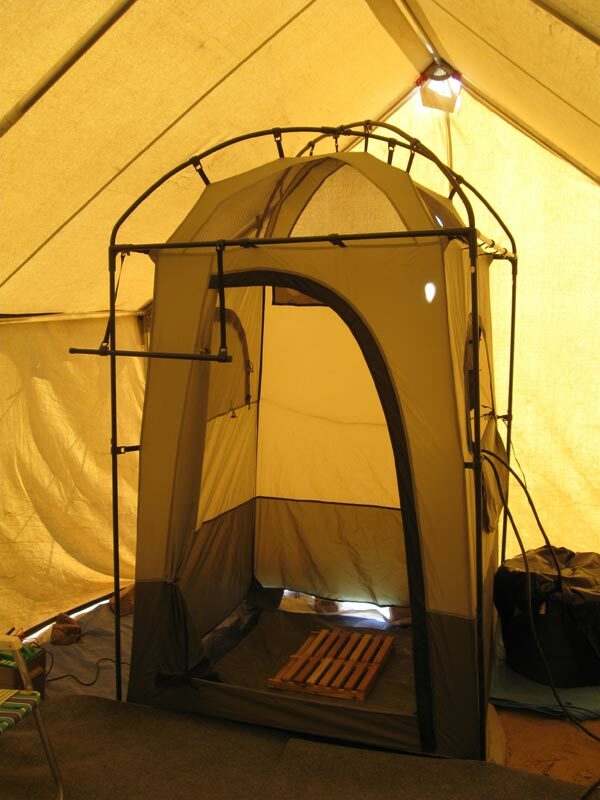 Our shower tent is a canvas wall tent with an enclosed on-demand hot water shower, carpet and heater. 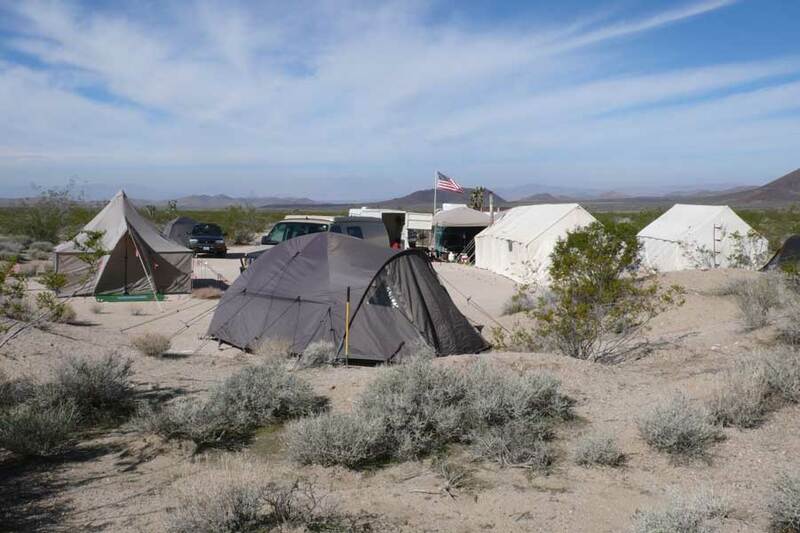 Camps are well planned out for location and access and include campfires whenever possible. We furnish all the necessary equipment. 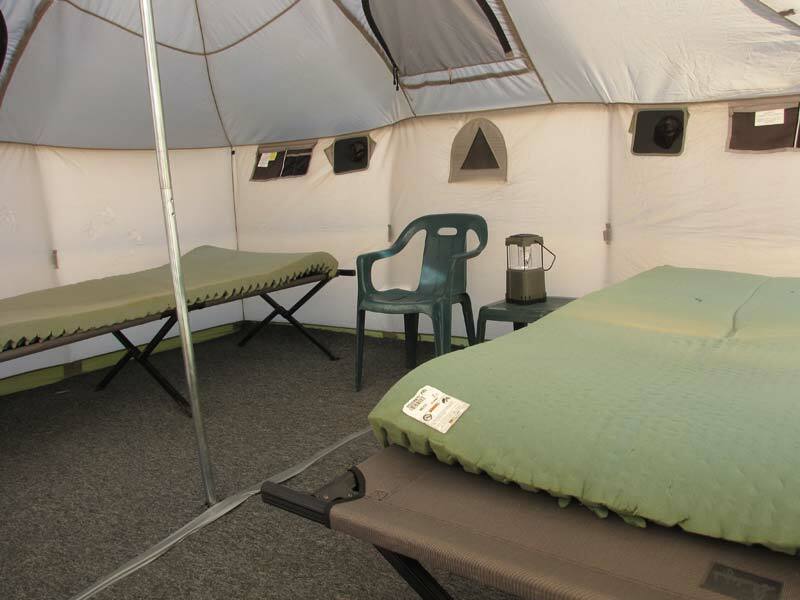 All you bring is your sleeping bag, rifle and personal gear. Continental-style consisting of coffee, tea, juice, cereal, muffins, bagels, rolls etc. Snack-style lunches that can easily be carried in a backpack or whenever possible deli-style lunch meats, cheeses, deli salads, etc. Freshly prepared gourmet meals including: Appetizers, BBQ grilled meats, fresh vegetables, salads, potatoes, rice dishes, pastas and of course a little dessert for the sweet tooth. 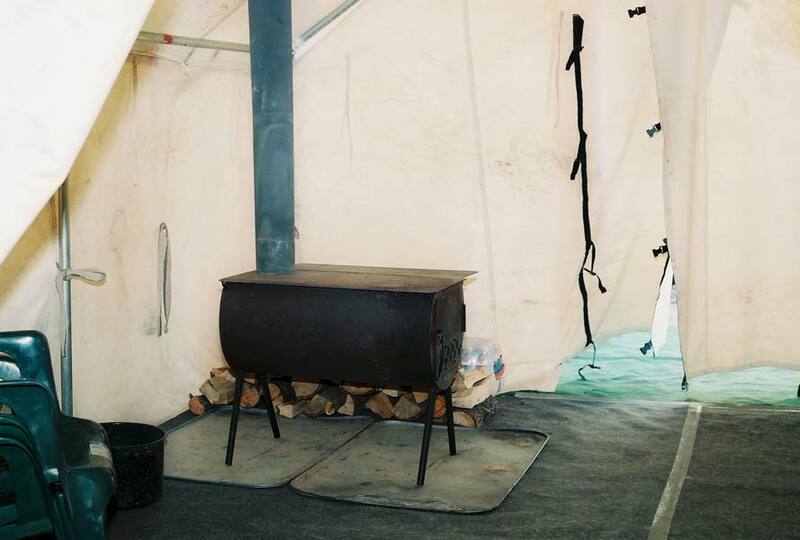 We love to eat and especially enjoy western style and Dutch oven cooking. 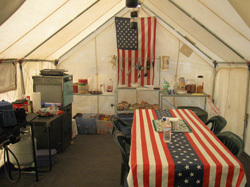 A person who eats and sleeps well will feel better and hunt harder, and that goes for our crew as well. We will provide transportation to and from the closest major airport. If you prefer to drive, we will meet you in camp. Travel throughout the hunt is in DCO 4x4 vehicles. Your trophy will always be properly cared for. All meat will be packed out. Your trophy will be expertly caped and ready for you to take home and/or ready to go to the taxidermist. We will cut and package your meat or you can take it to a meat processor, whichever you prefer. We at Dry Creek Outfitters believe that pre-season scouting is the key to a successful hunt. You can be assured that ample pre-season scouting will be done for your hunt. 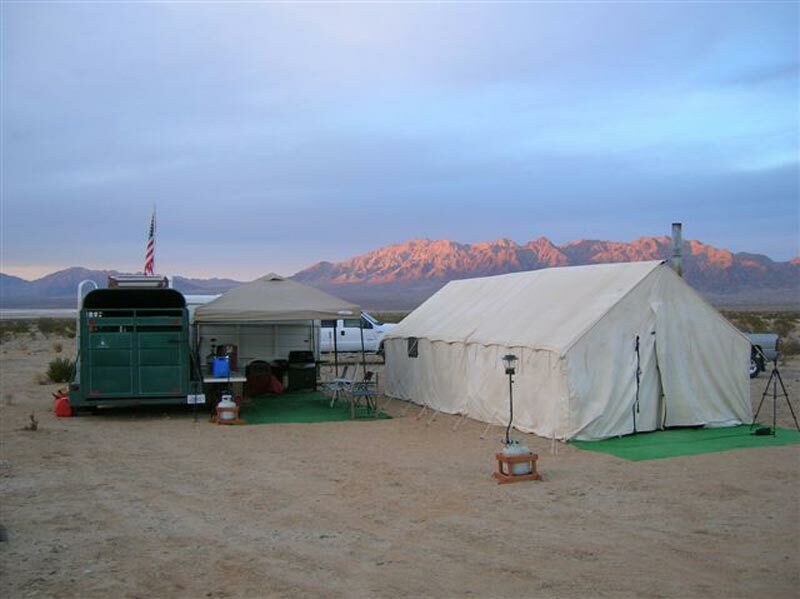 However, the sooner you book your hunt with us, the sooner we can start scouting for you. Desert sheep are super sensitive to their surroundings, non-territorial, and live in the harshest country imaginable. Each year the bedding, travel routes and feeding areas will change reflecting water, forage conditions and recent weather fronts. It is very important to know where the bulk of the sheep are if you want to know where the old rams will be hanging out. That is why properly timed and serious scouting is so important to early success in the desert. When a client has placed so much faith and trust in us for their once in a lifetime sheep hunt, there is no room for complacency. When you book a hunt with us, we are committed to the success of your hunt, a job well done, and another new friend for life. Your success is our success. Please call us early so that we can best assist you. The application deadline for Arizona and California is in June and in Utah the deadline is in February/March. Call for quote and detailed information. 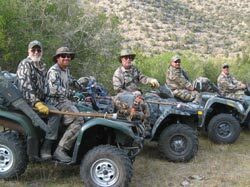 We also offer hunts for deer, elk, antelope and javelina, Please contact us for more information. If you decide to hunt on your own, we offer consult guiding for some units. Please give us a call for pricing and more information on this service. secure the necessary permits and begin scouting for your hunt.